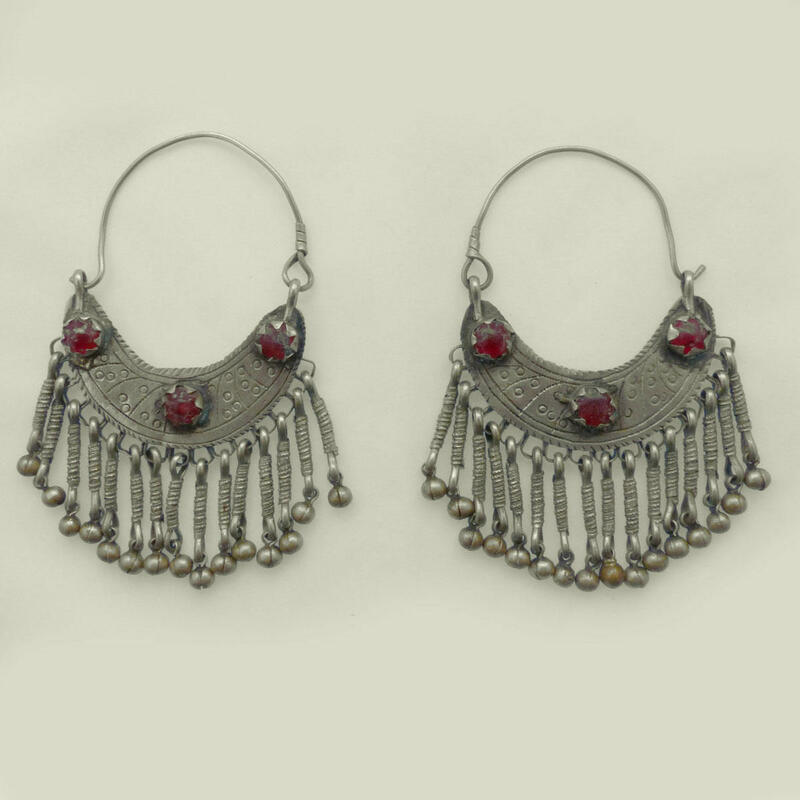 Massive handcrafted earrings set with ruby glass cabochons, reputedly from the nomad tribes of Turkmenistan. Cleverly cut from sheet metal and then chased and adorned with silver tassel and ball decoration. 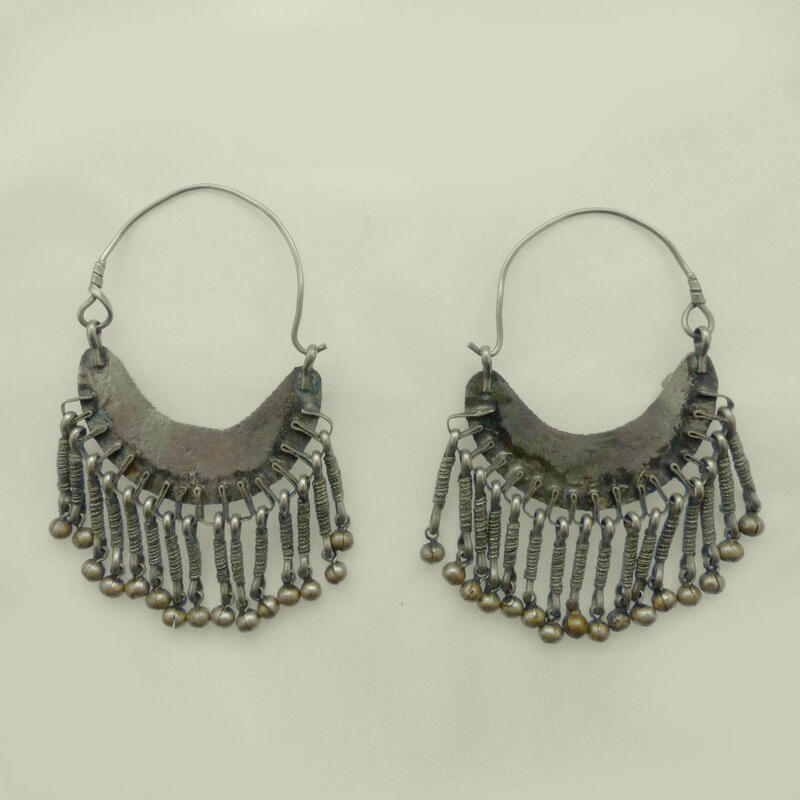 These are heavy tribal earrings and have thick gauge wires, please bear this in mind when purchasing if you have standard piercings. Made from "gillit", a mixed metal that is mostly brass, nickel, and old melted down coins. Highly sought after by tribal belly dancers and collectors alike. 1970s or possibly earlier. Good condition, complete and with a great patina to the metal. If required, we can add simple silver earring clips to ease wear for an additional £25. 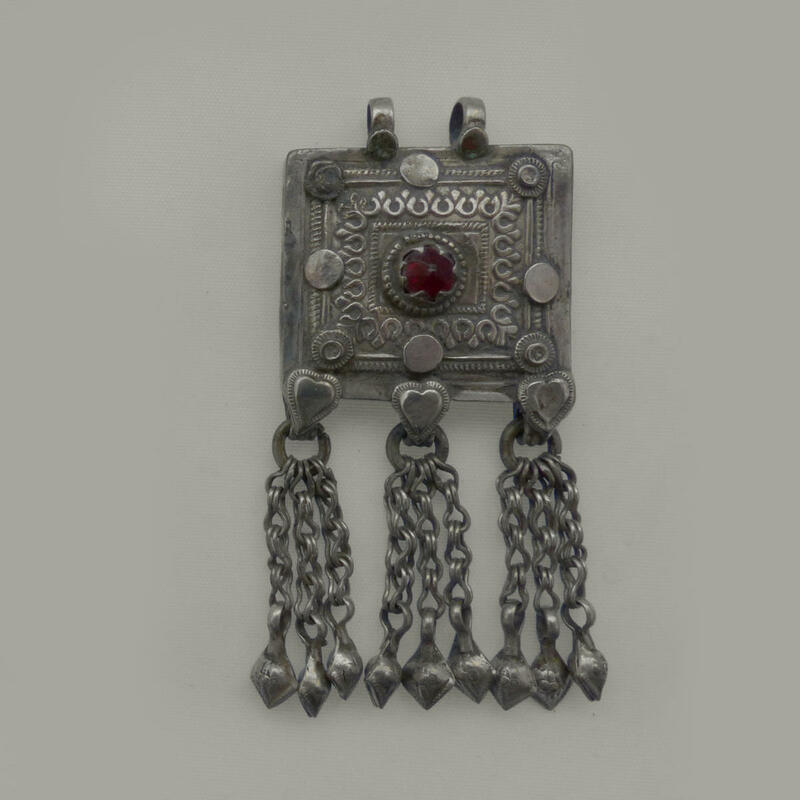 They could also be directly attached to a headress or headband.